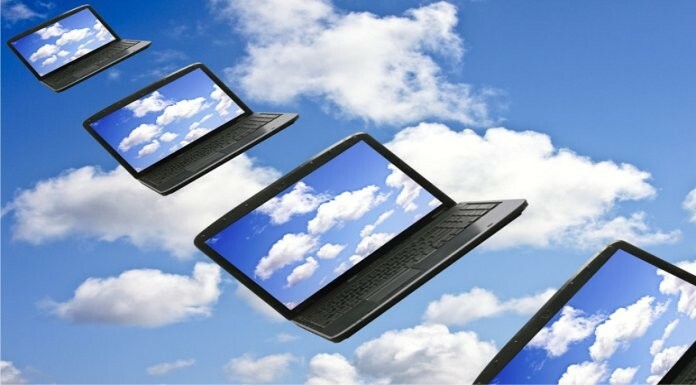 There are many reasons why small business owners leverage on cloud computing. While cost is one of the driving forces of the increase in cloud platform over the past years, its extensive array of notable features and continuous development of the platform have elevated its value, making it more advantageous for effective cloud strategy within the organization. 1. Cost Reduction – instead of buying new hardware, software, applications and other IT paraphernalia, partnering with an established and reliable cloud service provider will save huge amount of money from licensing fees and utility expenses. Acquiring one server (ranges from a few hundred to thousand dollars) that can host applications and online storage features is a huge investment and worth it. 2. Experienced IT staff for Setup and Management – cloud service providers have experienced IT staff to help you set up, manage and route issues without hiring expensive IT administrators and staff to work in the organisation. 3. Storage/Backup/Restore Capabilities – few of the most notable features of cloud computing are storage, backup and restore data, which make it easier to organise the necessary files you need to run the business on a daily basis. 4. Effective Internal Collaboration – the cloud allows employees to collaborate on projects that are integrated in the cloud. It’s convenient to share tasks and contacts, update data and review each stage of the project. The cloud makes online workspaces possible and accessible. 5. Unified Communication – enjoy a wide range of business email hosting features in the cloud where you can send emails to colleagues within the Intranet. Authorised personnel can access the mailbox and enjoy advanced options and push notifications for smartphones. 6. App Development and Testing – public and private cloud-based platforms allow app developers to build, test and deploy apps in the cloud environment. While this process is still on its early teens, even mobile app development can become immense in the future. 7. Scalability – cloud service providers offer pay-as-you-go model where small business owners are given the option of acquiring the necessary features that match the current need of the organisation. This gives them the opportunity to test a new strategy or service without spending a huge amount of money before its full implementation. 8. Public vs. Private vs. Hybrid – each type of cloud presents certain features applicable for each type of IT infrastructure needed for deployment. Small businesses can freely choose to acquire a public cloud, where third-party cloud service providers handle all the data. They can choose a private cloud to take control of the data and servers within their reach or a hybrid setup (a combination of the two). 9. Eco-friendly Environment – instead of relying on paper works and printed materials, the cloud has green features that allow employees to work online in a paperless environment. Every project is integrated in the cloud, which means less acquisition of physical storage, stacks of papers for vouchers, invoices, etc. 10. Automatic Updates and Maintenance – you don’t have to think about server maintenance, since cloud service providers are the ones who do this, including security issues and other resource tasks, allowing you to focus more on other priorities in your business. Next articleHow to earn with expired domain names?